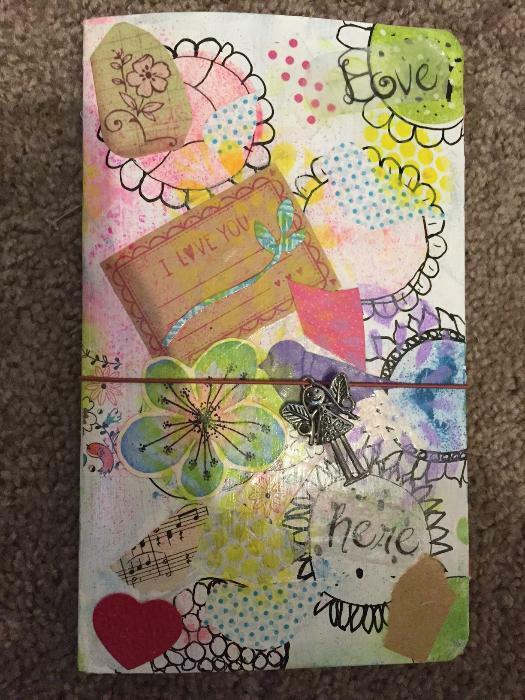 This mixed media journal was handmade and is embellished with birds and fairies all the way through. This has over 100 pages for your artwork and your writting. There are multiple tip-ins throughout along with pockets to store pictures and keepsakes. Please let me know if there are any other questions. Happy Bidding!